Well ya'll asked for it and it is back. Registration is open and ready to go. We are in the process of getting ready for this years race to help burn off those calories. 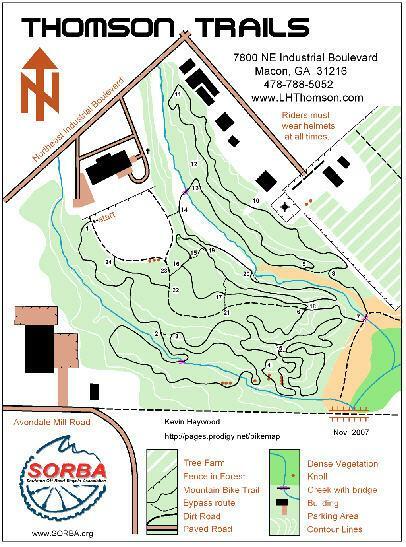 Burn off those Thanksgiving Day calories and have fun on the trails at our first annual Thomson Trails Half and Marathon. This is going to be a low stress run that allows runners of all types to gather and have fun burning calories. Traditionally the race was at Bartram Forrest but had to be moved due to state budget cuts. This race will not have the frills of a big city race but it will leave you with memories. We will have support tables set up at the start/finish line. It will be a multi-loop course through some up and down hills with some technical areas. The course will be approximately 4.4 miles on one loop. If you are doing the 1/2 marathon, you will have to do 3 loops. If you are running the marathon, you will have to do 6 loops. If you have ever run through the woods, you know that Garmins are NOT 100% accurate and that is why I measured this course with my mountain bike. I also took my Garmin with me and it was very close within a 1/10 of a mile reading. I just want everyone to have fun and if you think the course was short, you can always run more. 6. Take the 1st right onto NE Industrial BlvdDestination will be on the left. Please enter in the 2nd driveway and come to the back of the building.